Migration has been and is a constant theme in the life of the people of the Caribbean. 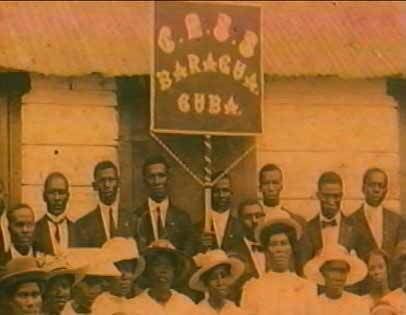 In the municipality of Baragua, in the present province of Ciego de Avila, Cuba, the stories and customs of the English speaking West Indians and their descendants still remain alive. 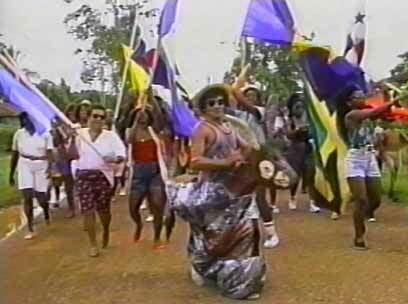 In the style of the documentary are merged family memories in a process very familiar to other Caribbean people: for example the trip from Jamaica, Barbados, and other islands to Panama and subsequently to Cuba which started the heady development of the sugar industry in the early years of this century. Direct testimony does not preclue the poetry present in the charm of the environment of the old sugar barracks, the re-creation of the traditional music and dance such as the Maypole, and the use of old photos that allow us an imaginary approach to that past. 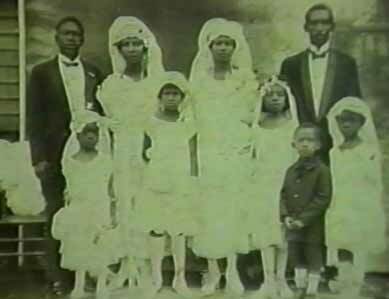 These immigrants brought two cultures: that of the English colonizers and the genuine one born under the Caribbean sun with the mixing of African rythms. In Baragua, all the roots merge into a common trunk. That is how time marked it, and that is what happens with the interlocked cotton trees that are a liet-motif throughout the documentary. The video is dedicated to 3 important Caribbean intellectuals: Nicolas Guillen (Cuba), George Lamming (Barbados), and Rex Nettleford (Jamaica). "My Footsteps in Baragua" is a contribution to the history of the Africans in Cuba, and to the study of the African diaspora at the end of this century. Images of the Caribbean is an independent Cuban film making group, with many of the people who worked with me on "Oggun." We gratefully accept all suggestions and support for the development of future documentary projects. Nice! Have you visited Cuba? I'll have to go through Canada if I'm going. Aren't you allowed to visit once a year now? Only if you were born there. American people are still not allowed to go there ? anyway , nice post here . thanks. What passport(s) do you have? I know they don't stamp it, but airlines sometimes release manifests to the US to report your name. I'll just wait until it's legal to go. my grandfather was from cuba also before moving to panama and then barbados.